Innovation, agility and the ability to address changing consumer needs are key to maintaining a competitive advantage in today’s world. The insurance industry is no different, with insurers seeking innovative solutions delivered by a wide variety of external third-party providers within the insuretech sphere. Hundreds of insuretech companies are emerging and offering new technologies. 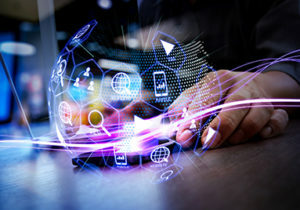 This fast-evolving ecosystem has insurers, who seek to be innovative and agile, hard pressed to grasp the full extent of these offerings, analyze them fully, and connect to their business and tech aspects, while still remaining financially viable. It’s an expensive and complex proposition that remains out of the reach of many insurers who need to focus on their core business. Sapiens is a global organization with over three decades of extensive experience in insurance innovation and technology. We seek out and identify the most relevant, advanced and innovative technology solutions for the insurance market. We connect third-party technology and insuretech solutions to our Sapiens PartnerHub from where we make their offerings available to insurers for their own use, and for the use of their customers. With one simple connection to Sapiens PartnerHub, insurers can avail themselves of the widest range of up-to-date solutions in today’s insuretech marketplace. Our economies of scale enable us to make it easy for insurers to select from our constantly growing and updated offering of third-party solutions. Insurers can connect themselves and their customers to a range of third-party providers, including infrastructure, insurtech and more.